Have you ever wondered about the difference between angels and archangels? We're about to dive into just that. How Are Angels and Archangels Similar? First … To really understand the key difference between archangels and angels, it helps to first look at how they are similar. The similarity is, of course, that they are both incredible angelic beings, beings of the angelic hierarchy, who serve humanity from the higher realms of spirit acting as messengers of Divine Love, wisdom and truth. Angels and archangels both fulfill all sorts of different tasks in their mission to support us, as humans, as we journey through our life on Earth, in expanding consciousness and tuning into our full power as human beings who are essentially beings of love and freedom. So the beings of the angelic realm are beings who serve on the middle path in alignment with Divine Will to support us as humans on this journey. But there are different ranks or levels of the angelic hierarchy. Angels and Archangels are two of these ranks, and also the closest ranks of these angelic beings to humanity. So yes, angels and archangel are on two different levels of consciousness. They’re both significantly more advanced in consciousness and have reached a far greater level of consciousness than humanity in the present, and so they can act as guides and way-showers for human beings as we progress and journey through our lives as individuals. The rank of angel, and the spiritual beings who are a level up from humanity in the angelic hierarchy are angels. Angels, who are spirits of life, guide, support, and assist humans as individuals. So the relationship between humans and angels is one to one. Beings of the angelic realm can connect with one human being at a time. And the closest angel to you personally is, of course, your guardian angel, who has been with you since your birth and will be with you through death. Your guardian angel is an angel specifically there to guide, support, protect and assist you in your life. 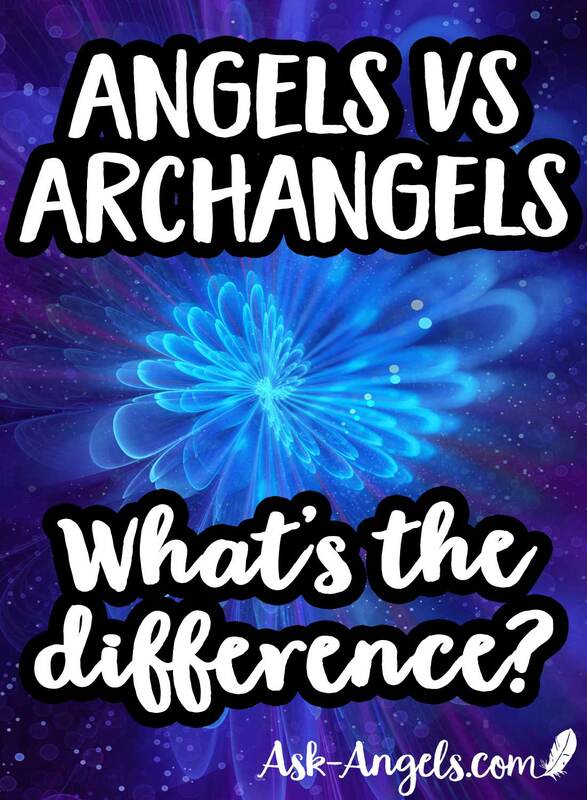 There is a bit of confusion around this topic of guardian angels tough, because sometimes when people tune in and ask “who is my guardian angel”, they receive Archangel Michael, Archangel Gabriel, Archangel Uriel, or the name of another well know Archangelic being. The thing is, by nature, and really by rank … Archangels are not guardian angels. Now, this doesn't necessarily mean you’re wrong if you’ve received that Archangel Michael is your guardian angels, and it doesn’t mean that you don't have an archangel with you. Because while Archangel Michael is not technically a guardian angel, he can act as a sort of guardian for you, and for many simultaneously. But the title and rank of the guardian angel is reserved for the being of the angelic hierarchy, who is designated just for you… The angelic being who has stepped forward prior to your birth and committed to specifically guide, assist, and support you as an individual… And not anyone else… Just you. They're your personal guardian angel, and they love you unconditionally, and they know everything about you, and they still love you. They're here to guide and protect you, support you in aligning with your soul path and purpose, to expand your consciousness and come into alignment with your highest light, growth and truth in your life. Your guardian angels wants you to accomplish your mission, and experience true and lasting fulfillment and happiness in your life. 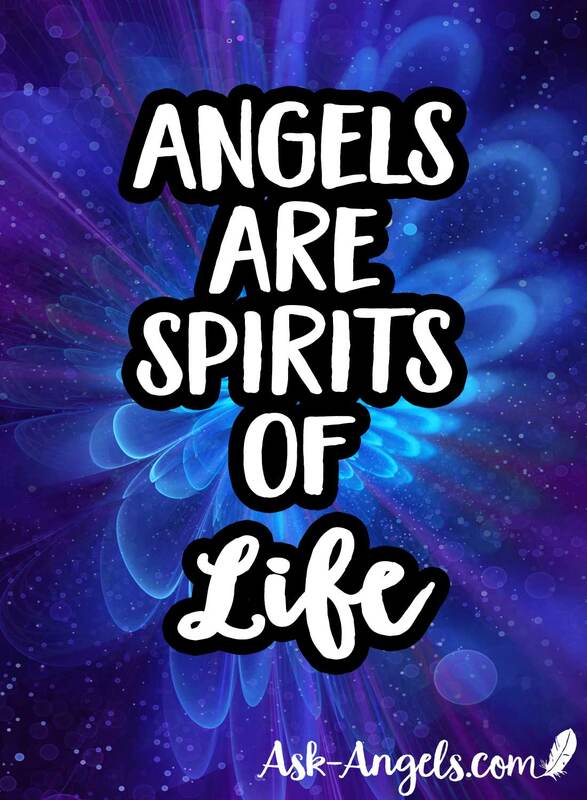 So… Angels are the spiritual beings of the angelic hierarchy, who a step above humanity in consciousness expansion and awareness, and they act as guides, messengers and allies for individual spiritual beings. We all are always guided and supported by angels. But for most of humanity, our consciousness has been dumbed down so that we're not aware of the presence of angels in day to day life. But you can regain this level of angelic awareness, by going within, opening your heart, and elevating your consciousness… With this, you're able to make the direct link with the realm of angels. Check out my article on how to receive your guardian angels name, because it’s really about so much more than just that, and teaches you a practice you can us time and time again to open to angelic communication. I recommend doing it every day to elevate your consciousness and open the link to tune in to your guardian angel who is the closest angelic being to you and the easiest to hear. Then, once you learn how to connect with your guardian angel, you can connect with more of the beings of the angelic realm who are here to support you and assist you in your life in stepping into your divine truth and mission. A level up from the angels in an even higher level of expanded consciousness are the archangels. Archangels are spirits of spiritual fire, who work with and oversee entire groups of humanity. They oversee nations, towns, cities, and other groups and designations. So yes, Archangels are able to work with entire groups of people at once, and so this is why so many people feel they have, and they really do have a personal connection with Archangel Metatron, Archangel Michael or Archangel Uriel. It's because they are a part of a group which Uriel, Michael or Metatron is overseeing. Archangels act as intermediaries between the Infinite Light and complexity of God, Source, Divine and humanity in the physical. They act as a bridge to help us receive the divine inspiration, wisdom and knowing we need in order to thrive in our lives and continue on our individual and collective paths of conscious expansion, personal growth, and evolution. Archangel Michael is by far the most well-known Archangel in the world at this time, and for good reason. Archangel Michael is the Archangel who is overseeing our current age, or period of time that we're in now. And so Michael is very actively guiding and connecting with humanity, around the world, through many different religions, and cultures, and ideologies. Michael is there present, sometimes called by another name, but the same spirit that is Archangel Michael is there guiding humanity to become more conscious. So that we can come into sovereignty and progress as divine spiritual beings in human physical form. So, the main differences between angels and archangels is the level of consciousness, and also how they work with humanity. Again, archangels work with entire groups of people, whereas angels work with individuals. Both offer incredible support, help, and guidance, and are here to help assist you and guide you in your life. In most cases, except for rare instances, neither angels nor archangels will interfere in your reality without your permission. 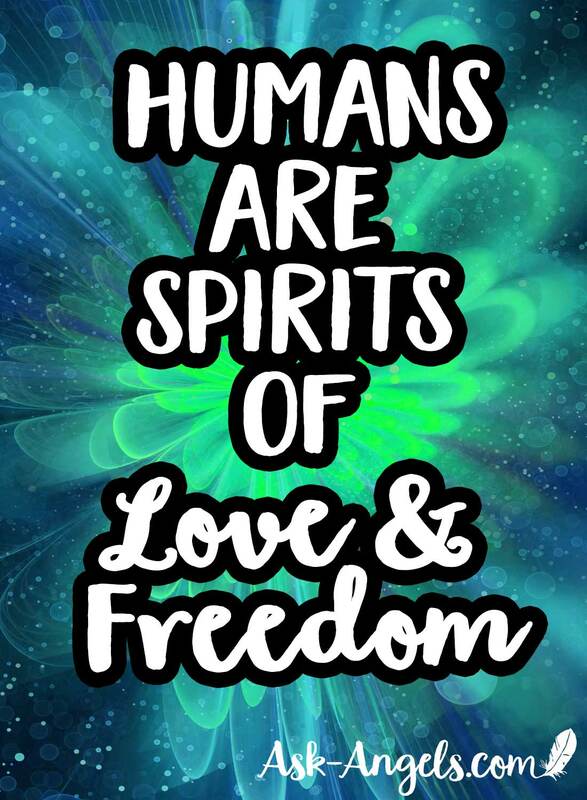 This is because they recognize your truth as a human being and that you're a being of love and freedom. They honor your free will and give you the space to choose your path. Do you want to open to angelic communication? Do you want to expand into your higher divine consciousness? Or do you want to stay in a limited program of the 3d matrix worlds? It's up to you. Ask the angels for help. Let your heart open. Let the central pillar of light along your spine fill with light, let your consciousness lift and allow your awareness to raise up above your crown chakra, into the center above your head which allows you access to the higher angelic realm. Lift up in conscious awareness to meet the angels halfway. Because this is the time we are living in now. Angels are rarely now manifesting in physical form, because like a loving parent, teaching their child to swim… They’re on the other side of the pool cheering “Come to me… Swim to me… You can do it”. They're close by offering their support and protection, but they’re not carrying the child across the pool, because then the child doesn't have the opportunity to learn. 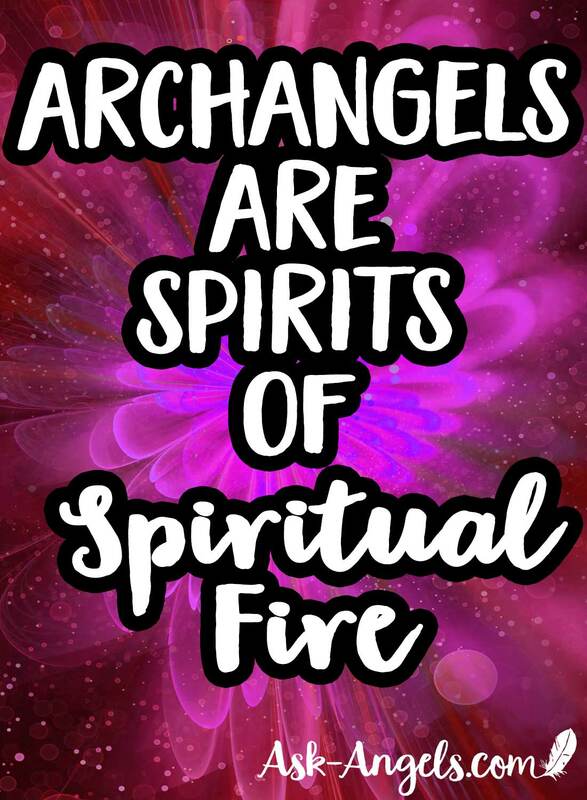 And so the archangels aren't appearing before people in blazing fire… Because there's an opportunity now for humanity to develop higher levels of consciousness in which we are able to lift and expand into the higher angelic realm. So if you want to connect with angels, get yourself to the meeting point halfway. Raise your vibration, reach up in consciousness, prove that you're willing to grow, to put in the work, to meditate, take control of your mind, quiet your mind to lovingly parent your thoughts, to return to center, to open your heart, lift in love, and your angels will meet you halfway to help lift you further. Your angels are here for you, to support you, to guide you, and to assist you in your life and on your journey of embodiment. But as a human being, as a spirit of love and freedom, you have incredible power and potential to embody the highest divine light, the highest Divine I Am Presence within your physical body, within your physical form in this lifetime, now… It's simply a matter of commitment, focus, and yes, Divine angelic intervention which is able to come forward, you just have to meet it halfway. Alright, I hope this is helpful for you in understanding the difference between angels and archangels. If you liked it, please comment below and let me know. And as a final note, if you do want to open to directly perceive and experience angels, I highly recommend doing the practice for connecting with your guardian angel every day for the next seven days. When you do that, combined with letting go of expectations, and how you think the experience will be… You will have an angelic experience, and then from there, your angelic connection can continue to grow.